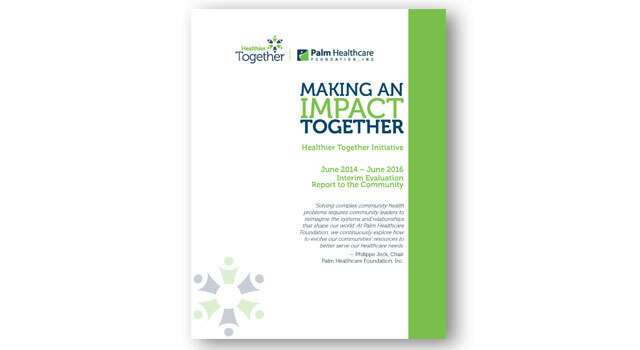 This design piece presents a report to the community about the progress made with the ongoing Healthier Together community initiative. 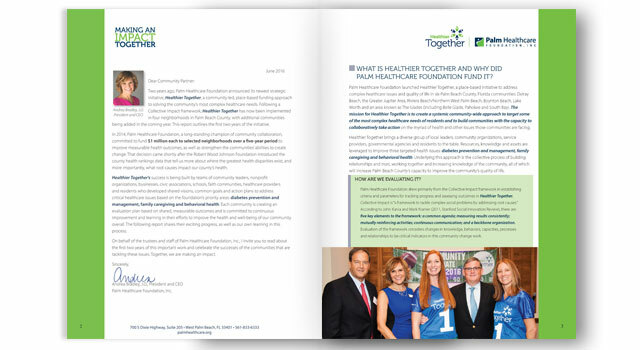 Palm Healthcare Foundation, Inc. launched Healthier Together, a place-based initiative to address complex healthcare issues and quality of life in six Palm Beach County, Florida communities. 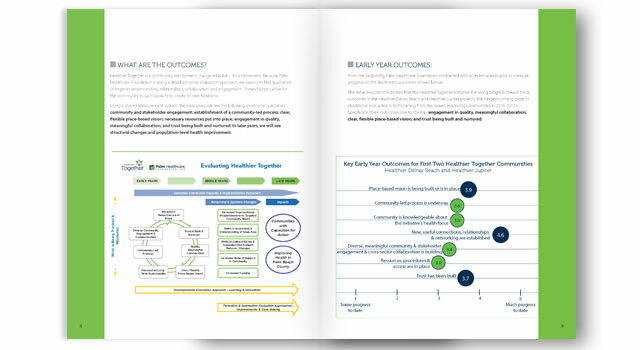 The mission for Healthier Together is to create a systemic community-wide approach to target some of the most complex healthcare needs of residents and to build communities with the capacity to collaboratively take action. 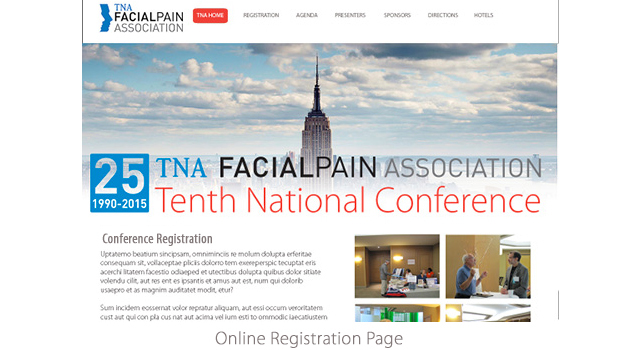 The National Conference was held in October 2015 in New York City. 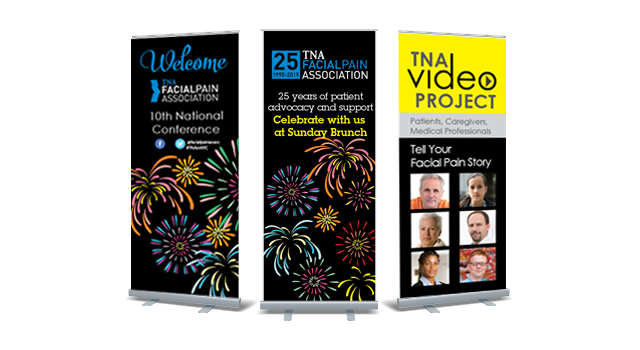 It offered an opportunity for attendees to hear about the most recent medical advances for those suffering from trigeminal neuralgia and facial pain. 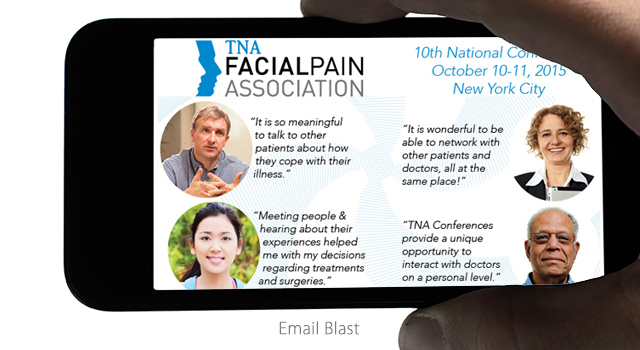 The Facial Pain Association (formerly The Trigeminal Neuralgia Association or TNA) is a non-profit voluntary health organization, serving patients worldwide who suffer from neuropathic face pain, including TN, their families, and the physicians, dentists and healthcare providers who treat them. 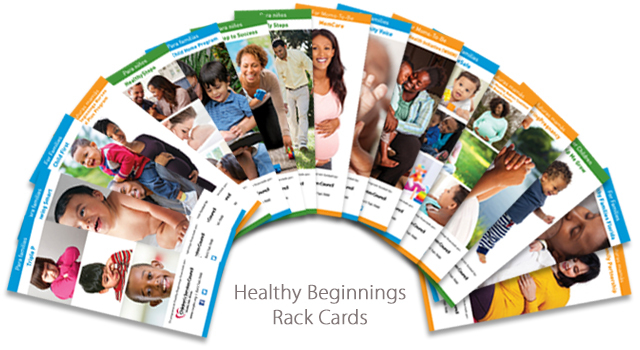 The challenge in designing this logo was to create a piece of art that was symbolic of the seriousness of this disease but retained a bright, hopeful spirit. 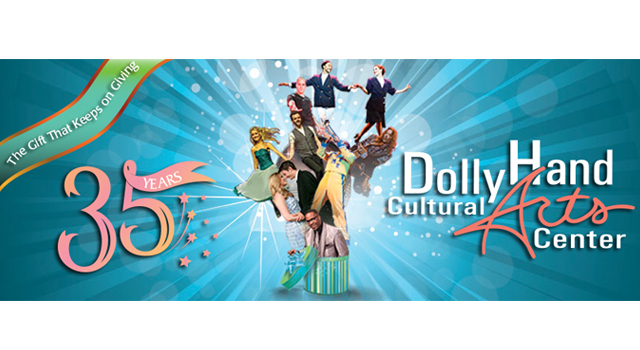 The logo is part of an ongoing design program. 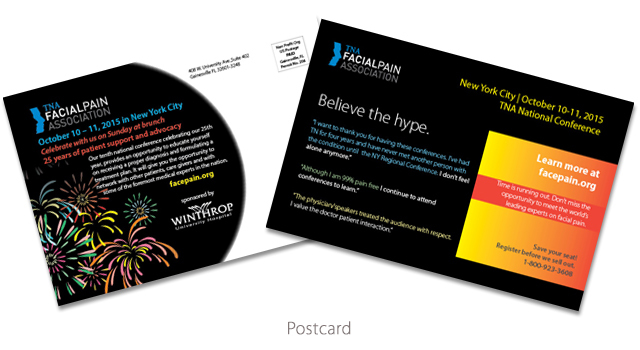 The video project is a new addition to the Facial pain Association’s outreach programs. 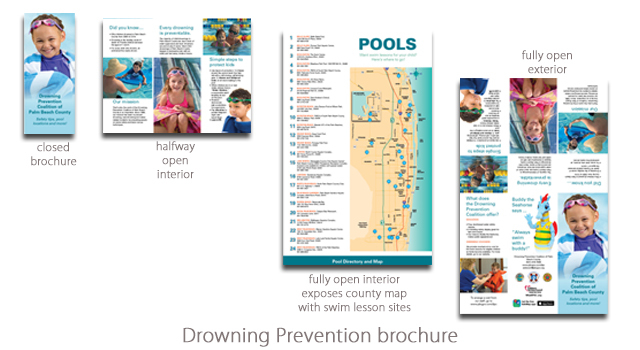 For this image, I was asked to create “surprisingly bold” iconography that was different from anything we had produced in the past. 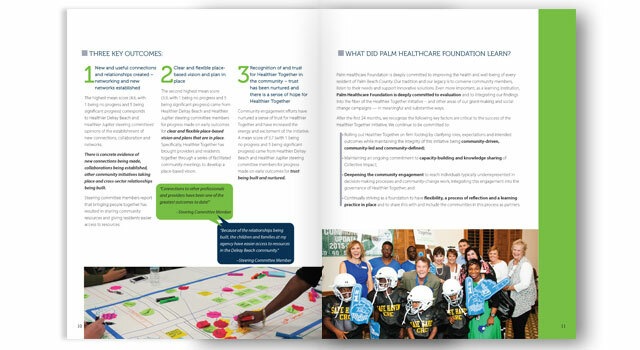 Children’s Services Council (CSC) of Palm Beach County began implementing place-based initiatives in the mid-1990s in key communities those with some of the most challenging circumstances for children. 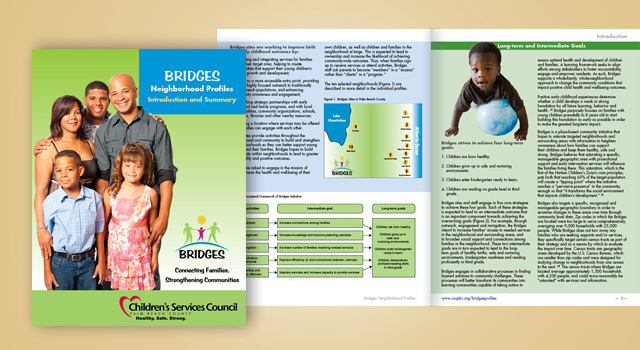 Bridges, the fourth iteration, began implementation in January 2011, and had incorporated lessons from previous efforts.The Bridges Profiles report encompasses an Introduction and Summary as well as profiles on each of the ten community based Bridges Centers. 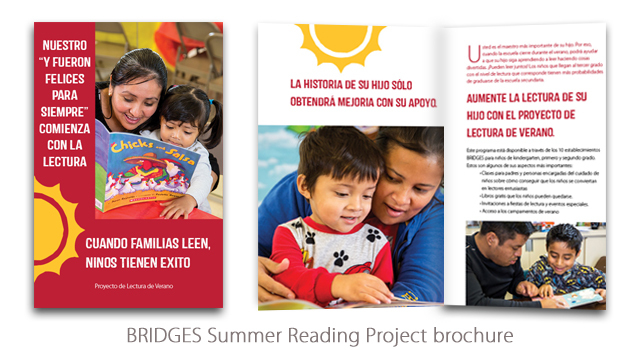 Visit www.cscpbc.org/bridgesprofiles to view the entire project. 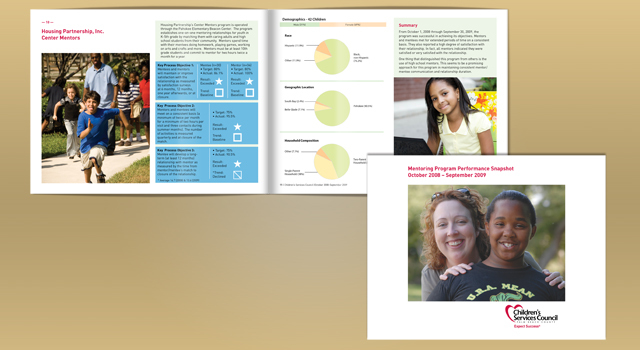 The Mentoring Report for Children’s Services Council of Palm Beach County was designed to show the outcomes of CSC funded mentor programs. 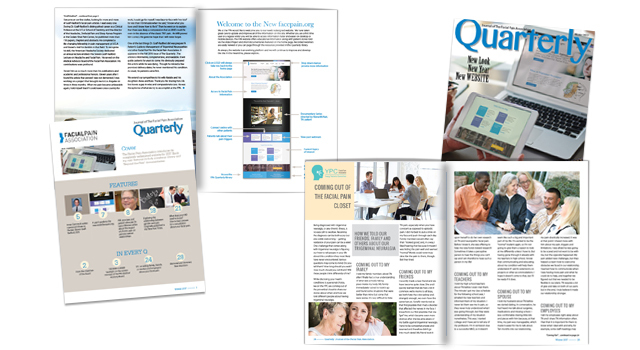 The Quarterly is the Journal of the The Facial Pain Association in Gainesville, FL. 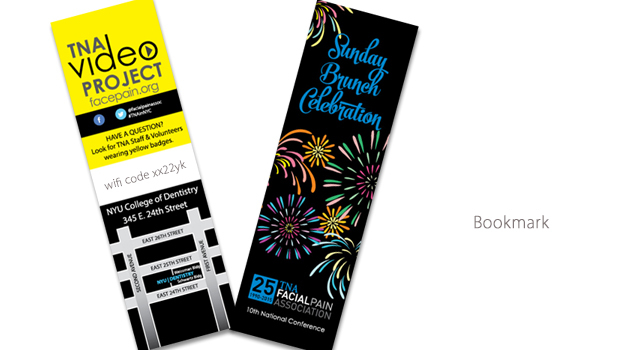 It addresses medical issues pertaining to face pain, especially Trigeminal Neuralgia. 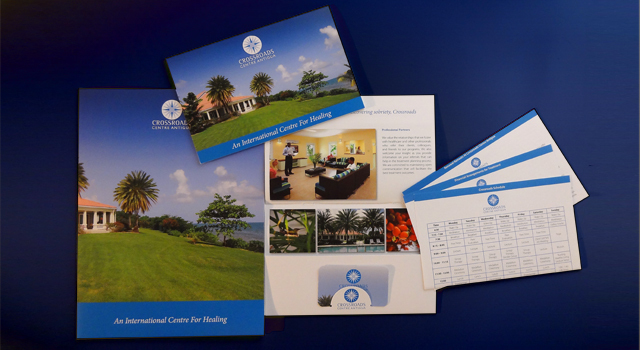 Recovery facility, Crossroads Centre Antigua, founded by Eric Clapton, needed a fresh new image. 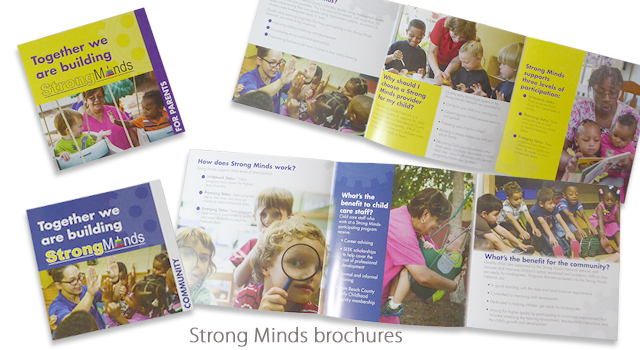 Scope of work included the logo design and thematic use of the main building and lush tropical images. 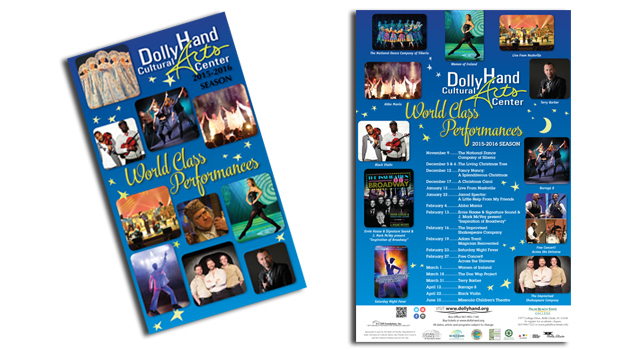 This branding was applied to the banner stand, presentation folder, horizontal folding brochure and step sheets.